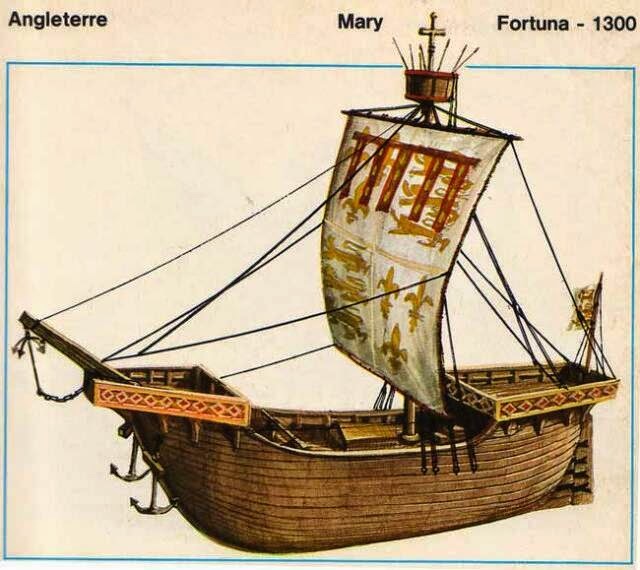 At the beginning of the fourteenth century, the English Cinque Port towns maintained a fleet of vessels such as this - clinker-built with forecastles and aftercastles for fighting purposes, and with a wide, clear deck. Vessels of this type were not limited only to coastal defence. Illustrated manuscripts show that they also accompanied crusading forces to Palestine. 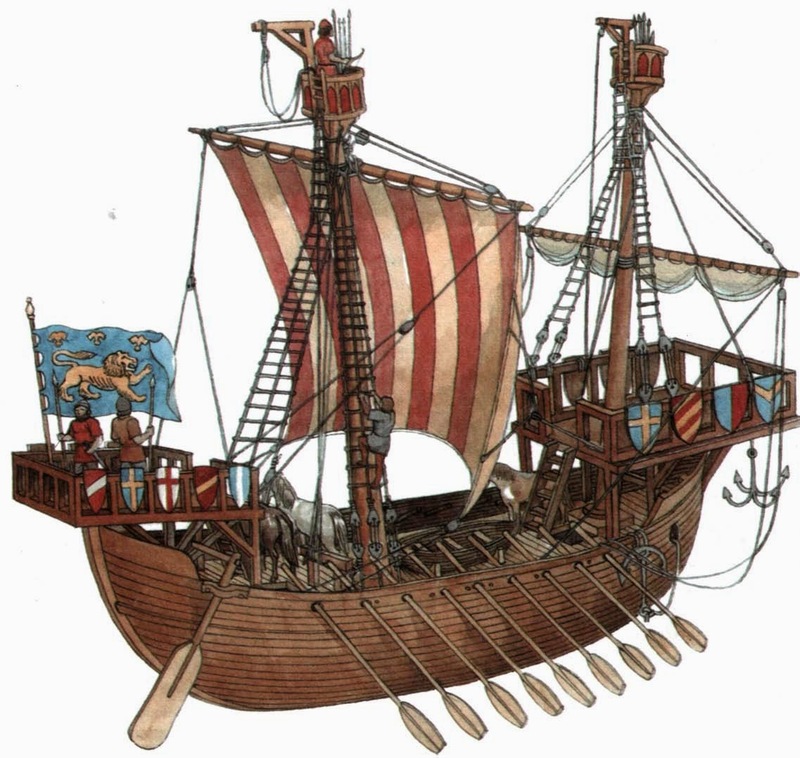 Mediterranean cargo ship - Ninth Century AD. The steering oars were still brought within an extension of the upper hull; however, the stern and prow were far simpler, and the bowsprint gone completely. 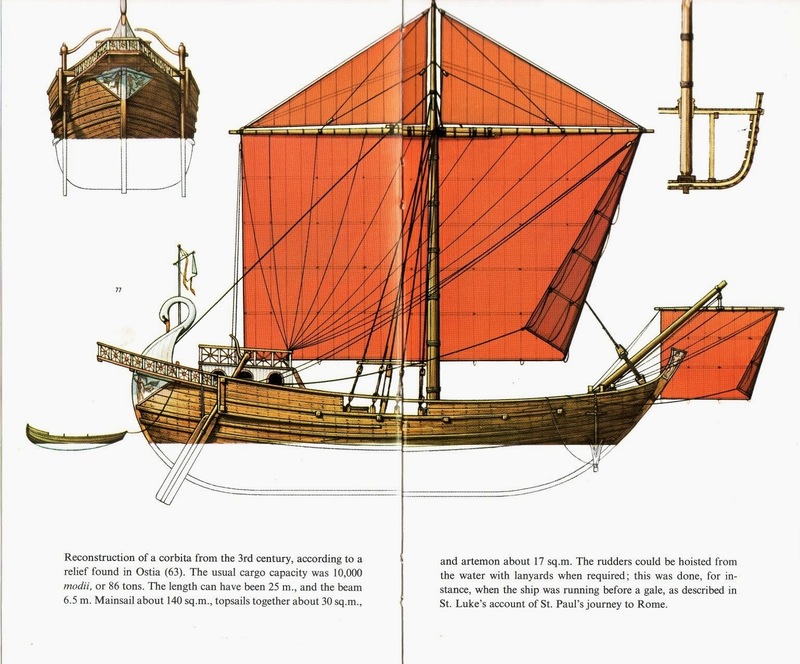 The ship's mast, stayed by shrouds, had a forward tilt to accommodate the double-sparred yard of a lateen sail, a feature probably copied from Arab vessels. Lateen sails could be trimmed much closer to the wind. The movement of goods, commodities and slaves without exchange, whether through war, piracy, nonreciprocal gift-giving or tribute, was also an important aspect of ancient economic activity. Navies and pirates might occasionally interfere with the seaborne trade of the Mediterranean, but they rarely caused any long-term disruption. It was not in the interests of the inhabitants of the region to discourage merchants from carrying their cargoes from city to city. A substantial part of the Greek and Roman slave trade was supplied from prisoners of war, or the victims of piracy, and in the second and first centuries bc the Romans acquired large quantities of grain from their provinces of Sicily and Africa as tribute. Nevertheless the economic world of the ancient Mediterranean can be characterized as one in which maritime trade was highly developed and, especially at the height of the Roman Empire, it was an integral part of Classical civilization. 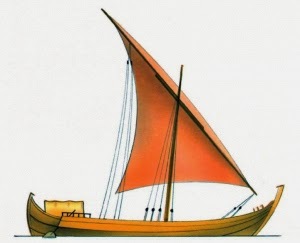 The picture depicts a Phoenician merchant ship dated 1500 year B. C.
We can put together a reasonably clear picture of the patterns of maritime trade in the Mediterranean from the end of the second millennium bc, thanks to the increasing availability of written sources, in the form of official and private documents, monumental inscriptions and literary texts. The merchants of the Phoenician cities, and the Levantine coast in general, emerge as major figures in maritime trade from the second half of the second millennium bc. They were both encouraged and to some extent controlled by the larger states around them. Egypt to the south, the Hittites to the north and the Assyrians, Babylonians and Persians to the east demanded locally available materials such as timber and linen, locally manufactured goods, especially furniture, metal utensils and rich clothing and items obtained from trade with other places across the Mediterranean. These demands took the form not just of commercial trade but also of tribute, particularly in the first half of the first millennium bc, when the powerful Neo-Assyrian and Persian Empires dominated the Near East. The coastal cities of Tyre, Sidon, Byblos and Ugarit were home to thriving communities of craftsmen and traders, specializing in the import of commodities which were either traded on, or turned into luxury items for the temples and palaces of the Near Eastern cities. The harbours of the Levantine coast were occupied with the ships of these merchant middlemen, whose seafaring activities were a kind of essential lubricant to ensure the smooth operation of a wide range of commercial and also cultural exchanges between the societies of the region. The Phoenicians and their neighbours to the north and south never came together into a monolithic Levantine state, but were a group of cities and other settlements closely linked in political, economic and cultural terms, which depended upon maritime trade for a significant part of their revenues and their relative political independence. 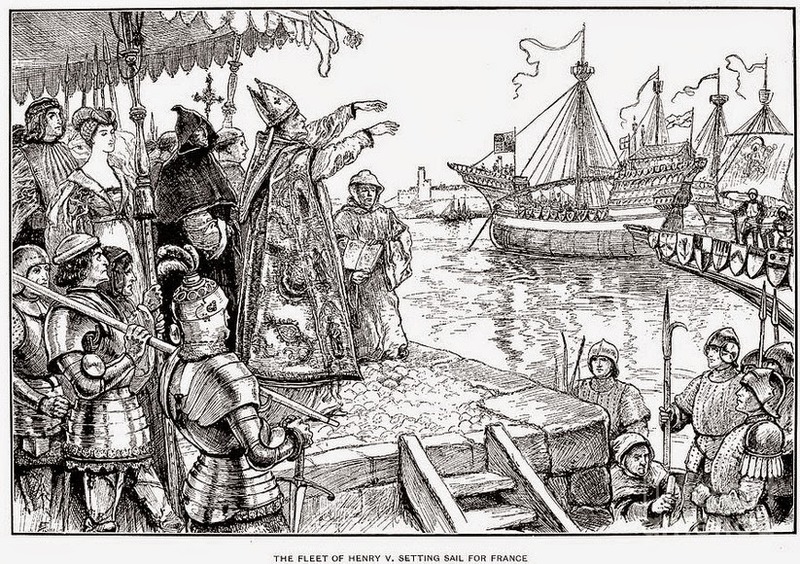 The merchants were organized into separate companies, but their dealings were loosely supervised by the rulers of the cities, who could tax goods passing through the harbours, but whose political power depended to a considerable extent on maintaining good relations with their principal customers, the larger, centralized states of the region. The celebrated account of the voyage of the Egyptian priest Wenamon provides us with an insight into the nature of Mediterranean trade around 1100 bc. Wenamon was despatched from his home in Thebes to obtain the supplies of timber that he needed for a new ceremonial barge for the sacred image of Amon-Re. He journeyed from Tanis, in the Nile delta, to Byblos, but he was badly delayed in Dor, home of the notorious sea-raiders called the Tjekers, who robbed him of the precious metal items he was carrying to pay for the timber. He resorted to robbing some Tjekers himself in Sidon to recover part of his treasure, but he was still badly short of the riches needed to satisfy the ruler of Byblos as a down payment for the release of a cargo of cedar. In order to set the transaction in motion Wenamon had to arrange for his superiors to send gold and silver vessels, linen garments and mats, oxhides, ropes, lentils and fish. This combination of luxuries and staples is probably typical of the cargoes which were traded between Egypt and Phoenicia, and which the merchants of Byblos could either find uses for themselves, or pass on to others through sales or gifts. The Levantine traders’ prosperity and cultural influence grew as their powerful neighbours expanded their empires and put even greater demands on their capacity to supply goods and raw materials. 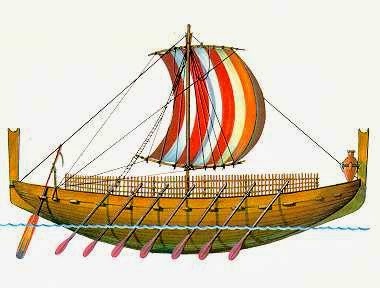 The eighth century bc saw an expansion of the already quite extensive seaborne trading network of the Phoenicians beyond the Eastern Mediterranean and the foundation of numerous overseas settlements along the coasts of Spain, Sardinia, Sicily and North Africa. One of these, Carthage on the coast of Tunisia, became a powerful state in its own right, but most developed as outposts of Levantine culture, whose interaction with the local inhabitants helped to encourage the development of urbanization, state formation, complex social hierarchies and sophisticated commercial activities. The Greeks owed their alphabet and probably many of their early political and economic institutions to contacts with the Phoenicians. They are credited in turn with a major role in the growth of urban civilization in Italy, and the rise of the wealthiest and most powerful of ancient civilizations: Rome.